Also known as the Icy Strait, Hoonah is located on Chichagof Island and your port is actually a restored salmon cannery. Discover the many local crafts, go exploring via a kayak, stroll along the main street, or kick it up a notch on the world's highest zip-line circuit. Whatever you came for, we've got you covered. There is also phenomenal whale watching that can be done with an experienced Hoonah Shore Excursions captain on a vessel specifically designed for the sport. Don't forget your camera! Air-conditioned and licensed round trip transportation from your Icy Strait cruise pier area! English speaking certified local guides! Visit the waters off Point Adolphus! Heated cabin as well as outdoor deck space! Complimentary bottled water and snack bar! Escape the cruise ship shore excursion crowds and enjoy unique sights of Icy Strait and surrounding area! 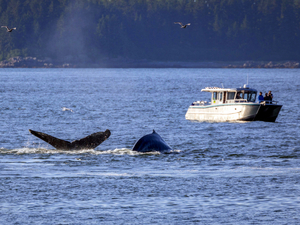 Visit one of the largest Humpback Whale feeding areas in Alaska for on this exclusive, small group boating excursion. Air-conditioned and licensed round-trip transportation from your Icy Strait cruise pier area! Learn about the local people and their way of life from locals! 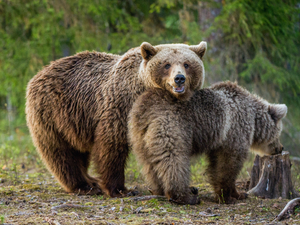 This is your unique Sitka Excursion that offers the opportunity to see brown bears, Sitka black-tail deer and other wildlife up close in the natural scenic beauty of the last frontier, Alaska. Whale watching off Point Adolphus! Exclusive boat with heated cabin as well as outdoor deck space! Complimentary bottled water and snack bar on boat! Stop for coffee and optional lunch purchase! 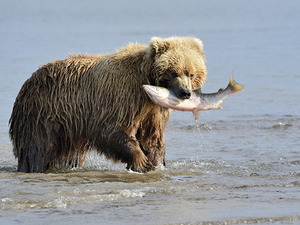 Combine the two most popular activities in the Hoonah, Alaska area...searching for bears and watching the amazing humpback whales, all in one great day!